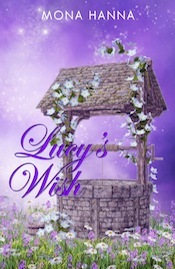 First draft of Lucy's Wish finished! I finally finished the first draft of Lucy’s Wish! Woohoo! 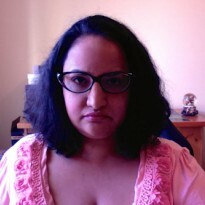 It’s a novella of about 35,000 words but it still needs to be edited so I’m unsure of the final word count. I’m really happy and look forward to sharing the book with you all. The expected publication date is March 2014. Lucy Bluebell is a quiet young witch working in a magic shop in her busy town, trying to keep it running after her parents retired. She keeps to herself, avoiding most people after an unkind warlock broke her heart. She has a wish, however; to meet a kind, caring man, who’ll always love her and cherish her. Someone she could love with her whole heart. Someone safe who she can rely on. Warren Lewiston is embroiled in a dark plan and needs Lucy’s help, even though he knows he’s putting her in danger. His goal is to save his friend Sarah; only if the plan goes off without a hitch will his enemy Saxton release her. Warren has to work with Saxton, doing what he asks, or Sarah will never be released. But then things get messy. Lucy and Warren become hunted. Saxton becomes more threatening. Warren realizes he may lose his friend, while endangering a woman he’s falling for. Lucy thinks she’s falling in love with a man who loves another. No one knows who will survive.